Project management is a growing profession and the importance of its skill set has created demand for it across a variety of industries. Librarianship is no different; a recent search on ALA Joblist for “project management” returned 36 current listings. Project management is mentioned in library school curricula (at least it was in mine), but I’m not aware of entire courses devoted to it. In fact, if you asked me back in library school if I thought one day I’d be a ‘Collections Services Project Manager’, I would have asked you what that even meant. I can’t help thinking if these skills are in demand but aren’t being taught, where will other future librarian project managers come from? My project management skills are a result of being in the right place at the right time with the right attitude. I was fortunate enough to have a non-library job during library school that provided me excellent opportunities to not only manage employees but also manage projects. Coupling this with my study of knowledge management and some outside reading on the subject I was able to pull together enough experience and knowledge that I feel comfortable in my job. Like I said, there was a lot of luck involved, so this is not a model that will scale. So where do we librarians turn? The project management community does an incredible job of recording their professional knowledge. There are thousands of books, included the Project Management Body of Knowledge (PMBOK) produced by the Project Management Institute (PMI) which is the primary project management professional organization. While informative, these often aren’t the most engaging reads and often describe theory in a vacuum without real world context. There are also many certificate programs there that will supplement reading with classroom and group exercises and instruction. PMI has a list of registered education providers. I completed the certificate program at Northwestern University and it was great experience both in class and online. Unfortunately these programs are often expensive and the prospect of an additional certificate program after library school may seem daunting. Read a book. We’re librarians, after all, and we have access to written materials. I started with The Fast Forward MBA in Project Management which is accessible and well-written. Pick a tool. There are countless project management tools out there. 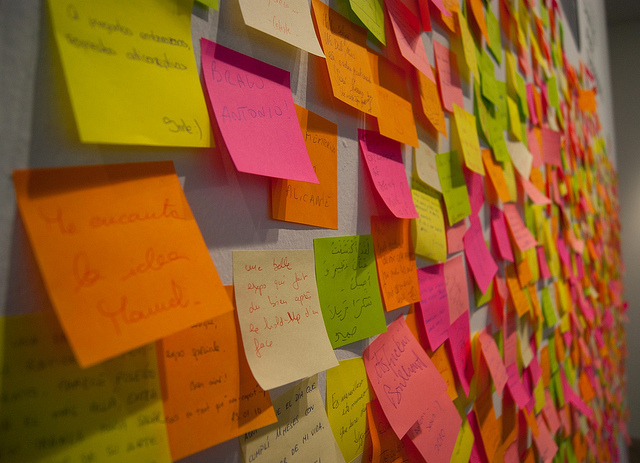 I like Trello, but you can accomplish the same with a white board or post-it notes on a wall. The key is to be able to track work and make it transparent. If everyone knows who is doing what, you will encounter far fewer problems. Plan and then plan some more. People often think planning is a waste of time that could be spent doing. I could not disagree more. Planning helps you identify potential risks and how to handle them, stakeholders that might have been overlooked, and redundant and unnecessary work. Communication is key. If this is a project team they should be talking all the time. The project manager should have a clear plan for talking with stakeholders in a manner that they expect and works for them. It is impossible for me to envision a scenario of too much communication. Close out projects. Often when the work is done people simply want to jump to whatever is next. Take some time to let the team or users talk about what went well and what can be done better next time. You can often uncover something that will make the next project much smoother. There is no magic bullet. Some techniques work better in some situations than others. Never put a process or technique above the people or results. If it isn’t working try something else, you will find something that does. I hope this provides a starting point for people who may be asked to take on project management responsibilities, but who are unsure about how to get started. Project management can be tricky, especially for libraries which are not always known for their agility. But if the goal of a project is clear, project management will help you achieve it. Interested in learning more about project management? I’ve started a blog about project management and libraries. I will be posting about the ins and outs of project management weekly at LibraryProject.Info, focusing on how I’ve applied these skills at my own library. Michael Perry is the Collection Services Project Manager at Northwestern University. He is currently working on the migration to a new ILS and a switch in classification scheme use. He holds a BA in Political Science from DePaul University and received his MLIS from Dominican University. He tweets at @michaelrperry6 and can be found on Google+ here. I'd had the link saved for a while, but I finally got around to reading "Six Questions That Will Bring Your Teaching Philosophy Into Focus" last week. I've gotten in the habit of letting go of saved links if I haven't read them in a certain amount of time, but something about the title of that piece had me saving it - and I'm so glad I did. 1. Describe the best learning experience you have had as a student. I'm hoping the teacher who gave me this experience ends up reading this, which is likely since we're actually friends on Facebook. Without even a close second, my best learning experience was the time Mrs. Atwood (sometimes I can bring myself to use her first name, but not today) let us choose our own topics in the Talented and Gifted class she taught at my elementary school. (I know, forever ago, but it's pertinent.) I wrote about dragons, but it wasn't just a story I dreamed up. No. I compared the life cycles of eastern and western dragons. I discussed the science of dragon flight. I talked about St. George. I even covered the mating habits of different species. It was glorious good fun to write, and I may even still have the report itself around my apartment somewhere. Most important, though, that project let me know that my curiosity was just as important in the classroom as the teacher's goals. It taught me that education could be fun. Thank you, Debbie, for teaching me to enjoy learning. 2. Describe the best teaching experience you have had as an instructor. Early on in my librarian career, there was this one student who tried to snowball me. We originally met during an instruction session I did for his class. He came once to ask for help. He came a second time to ask for help. The third time he came to ask for help, I gave him the help, but then I asked him a few questions about what he'd tried before coming to me. When I realized he was hornswoggling me, I called him on it. "I think you know how to do this and you're coming to me help so I'll do it for you." His face broke into a grin and he admitted it: "Well, I can be very charming." After his admission, I told him that he could always come to me for help, but that I was going to want some kind of proof that he'd tried it himself. Then I went further - I told him that I was going to inform the rest of the library staff about the deal we'd just made. He groused a bit, but then he agreed. A couple of months later, he came running up to me in the library to tell me about the B+ he'd gotten on a paper for which he'd found all the resources all on his own. It was in that moment that I realized I needed to hold our students accountable, that I needed to be kind but that I shouldn't be nice. Further, he taught me that students want to be held accountable. 3. What are you trying to achieve in your students with your teaching? I want to get students to the point where they can teach themselves. It's a multifaceted skill set. Part of it is teaching them how to think critically, but that's not all of it. There's also the need to understand how to deal with failures, both in the short term and in the long term. Teaching students to concentrate on resilience and self-care while holding them accountable is a careful balance, and not one I can do on my own. (I've talked about my agenda in the past.) Information literacy cannot exist in a vacuum, nor should it. 4. Why is this important to you? Because I care about the future. Grandiose, I know, but true. I know people who are educated to do a thing, and only that thing, aren't as well equipped to deal with change as are people who are educated to think. Because I want a well educated and informed, and yes - INFORMATION LITERATE - populace. Because, as I said in that post about my agenda, "our education system is churning out a generation of Spartans, but what we need is Athenians." Most of all, this is important to me because there are people in my past who gave me these lessons, and those skills have served me in good stead. 5. How do you achieve your objectives you wrote down for question #3 above? This is an area where I need to do a lot of thinking, since I don't have a strong enough answer. I know that I try to achieve my objectives by working to integrate information literacy into our curriculum and by educating members of my community about the research based practices I've developed. I know that I have built an information literacy curriculum in the past based on my constructivist pedagogy. I also know that I am working to do something similar at my new school in that vein. Of course, "Six Questions" is clearly focused for individuals and not programs, but I still feel I need more detail. And proof. Besides, if nothing else, I'd like to be able to answer the final question with more confidence than I currently feel. 6. Why do you use these particular teaching strategies as opposed to others that are available to you? I do my best to use and advocate for teaching strategies that are research based because I know they are more likely to work, but that answer sounds hollow to my mind. I'm not saying it's wrong, just that I want to be able to answer this question with more depth. So, how about you? Do you think you could answer these questions? Do you want to? I’m a big proponent not only of professional association membership, but of being active in your association of choice. I’ve never worked anywhere that requires professional membership, but I have worked few places that have supported it monetarily. Regardless, I see it as a basic tenet of Being a Professional. I feel I’ve gotten just as much back, if not more, than what I’ve put into my association work. Networking: This is the most common thing you hear about being involved in library associations, and I’m living proof it can work. I’ve created deep relationships with other library employees, and I know where I can go for help on all sorts of topics. I’ve been headhunted or referred for multiple positions, including the one I have now. I also know people who I can refer to others for open positions, volunteer work, and more. Management Skills: I started in associations before I became a manager, but it’s where I learned so many of my management skills. I know how to run an efficient and effective meeting, organize people who are located all over North America, assign clear duties, and require follow up. Some of these things I do now in my day-to-day work, but really I learned them from my association colleagues. Concrete Accomplishments: I “did things” in associations, and sometimes they feel more tangible than my work accomplishments. I was part of a team that drafted (and helped pass) an entirely new state association structure. I created a sustainable continuing education webinar program which has been a consistent source of revenue. I’ve yet to have a chance to restructure an entire library system or start a service from scratch in my traditional library work. Association membership isn’t a one-way street, though. Professional associations also owe something to their member volunteers and leaders. Members need to see value in what they do, and their talents shouldn’t be wasted on busy work. There’s nothing worse to see than a failing committee that doesn’t deliver for its members or its association. If you want to get active in your association of choice, find out what’s required to volunteer. This might be a web form, or it could be a short email to a committee chair. Be explicit with your interest and skills. With larger associations, you might not get your first choice of assignments, but you could receive an appointment that is still quite valuable to you and the association. You might also look at interest groups as an avenue to participation. Many leaders start out as an interest group co-chair, and continue due to its flexibility and smaller time commitment. Once you’ve received an appointment, show up, volunteer for assignments, and follow through. Just doing those simple things will put you at the front of the pack of association leadership. Sure, all of my experiences above are achievable without a professional association. The internet and social networking have broken down so many barriers, and library staff from far-away locations are collaborating and colluding on projects, articles, and un-conferences as I write this. Personally, I felt more comfortable starting from within the structure of an association and making my contributions there. Sometimes I feel like I’m at the end of the generation that will interact with associations in the “traditional” way. There are many barriers to participation in associations, including funding, access to technology, and institutional support. Many of us are puzzling this through, and there are no easy answers when so many new professionals can’t get a job in our field and don’t have an income to support membership dues and conference attendance. But I also hope I get to witness the renaissance of association membership with new ideas for methods of engagement. I know so many librarians who work behind the scenes to make the Big Things happen in associations and at their home bases, and their contribution matters. Until there are awards for “Best Revision of By-Laws,” “Most Complete Interest Group Review,” or “Outstanding Meeting Agenda,” you won’t see all of those names in print. But those who work side-by-side with them know who they are, value their work beyond measure, and will always go the extra mile to support them. Keri Cascio is the Director of Innovative Technologies and Library Resource Management at the Linda Hall Library of Science, Engineering & Technology in Kansas City, MO. Her claims to fame are purposeful meetings and the ability to run a darn good webinar. She currently serves on the ALCTS Board, and was a member of the inaugural ALA Emerging Leaders cohort in 2007. You can find her on Twitter at @keribrary. One of my biggest pet peeves in education is what I think of as the Pedagogy of Convenience. One way we see this is the faculty member who has a conference or an off campus meeting and wants a librarian to do an information literacy session while s/he will be away (grrr and hiss, right?). Never mind if it's too early in the semester to teach students about our resources. Never mind that it's obvious the faculty member in question is only looking for a substitute teacher and doesn't seem to understand that his/her students will forget all the skills by the time the paper/essay/whatever is due. I'm sure most if not all of the academic librarians out there can relate to that particular frustration, but remember the old saying about how when you point a finger there are four fingers pointing back at you? Well it's true here as well. I've seen librarians - heck, I've been guilty of it myself - committing acts of convenience. Teaching something the way "we've always done it," even when we've seen better ways of doing teaching/demonstrating whatever. Even though I am far from the stereotypical "sage on the stage," I still talk more than the students in my sessions. It's a problem, for sure. Students "feel a little bit like a nuisance all day long." The author's examples and suggestions for dealing with this are more appropriate to a semester long class, it's true. But it isn't hard to extrapolate to a library perspective. It makes me think about how, for each student who asks a question - like where the stapler is or how to long onto our resources from off campus - this is an important question. Rather than making our patrons feel like they are bothering us, we should be empathetic and helpful. Sure, it's more convenient to point to the instructions for logging onto the computers, but could we instead walk a patron over to the computer and help them? I know I'll never completely overturn the Pedagogy of Convenience, but maybe I can start to chip away at it? How about you? Did you read the piece? Do you think you'll change your practice at all? Did anything else stand out from the article as applicable to your library? I’ll get to to the meaning behind the title of this post in a moment. If you are one of the "young" librarians who read this post, welcome to the profession. Chances are your ambition made you stand out from the other candidates for your new job. The people above you in your library’s organizational chart have the sense that you can help save their library from drowning in stagnant waters. New blood can be good. You’re not the first person to experience this phenomenon. In a 2011 post, The Library Loon dubbed this new-hire messianism. As a result of being treated like a new-hire messiah, you may feel an overwhelming sense of responsibility for your library’s well-being. Hopefully you are supported by your supervisor and your colleagues. It’s possible, though, that you are being treated unkindly by some of your more change-averse colleagues. They feel threatened by your new ideas and your ambition because they feel like you signify their marginalization. This treatment can feel isolating, but you’re not the only one to be treated this way. In a follow-up post, The Loon shares the thoughts of a fellow new-hire messiah. I hope you take comfort in them. Unfortunately, Tall Poppy Librarian, your poor treatment probably doesn’t stop in your library. You may experience people you encounter, both online and in your work with the professional association of your choice, who attack you for your success. Your goal-oriented nature and your drive to succeed reveal in them an anxiety about opportunities your attackers missed and they respond cruelly. This is especially true on social media where people can hide behind perceived anonymity. 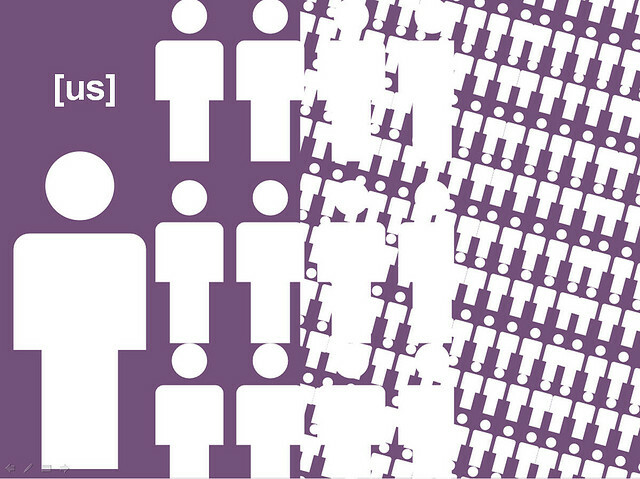 As with new-hire messianism, you are not the only person to experience this phenomenon. In fact, that’s why I called you “Tall Poppy Librarian,” because this phenomenon has a name: tall poppy syndrome (brief summary – it’s the tallest poppies that stand out and are more likely to be a target). This happens in all fields, but lately it seems that librarians are especially terrible about cutting down the best and brightest in our field. And it’s not fair to you, Tall Poppy Librarian. This all sounds pretty grim, right? I imagine you’re ready to flee librarianship for a more welcoming profession. Don’t go, Tall Poppy! We need people like you to make librarianship a better place. Admittedly, librarians have driven some of our best and brightest into other, more welcoming professions. But it would be a shame to lose you just after you’ve arrived. You’ve probably already learned that drive can be isolating and divisive. But that doesn’t mean that you should be ashamed of being a high achiever. The good news, Tall Poppy, is that you are not alone. There are other high achieving librarians like you, both in your own library and in the professional association of your choice. Find those people and build a community that supports one another, both in achieving your goals and enduring criticism. Continue to develop as a professional by taking advantage of opportunities offered both at your own library and through the professional association of your choice. As colleagues retire (admittedly a slow process with this economy, but it does happen), there will be a growing need for librarians to step into middle and upper management positions. Your ambition makes you a perfect candidate to assume such a role. 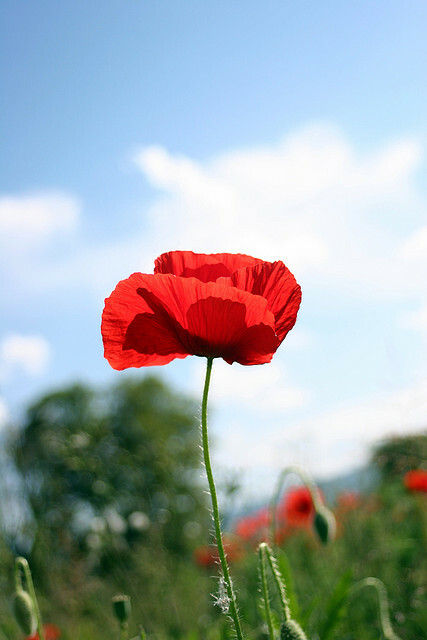 Speak up, Tall Poppy, in meetings and online. Be present on social media and consider starting a blog. I am certain that you have awesome ideas and I, for one, can’t wait to hear them. The point is, your ambition is nothing to be ashamed of and your drive is nothing to hide. Change threatens people and social media emboldens people to act like jerks. But that’s nothing for you to worry about. Your concern is to work hard, dream big, and continue to ask thoughtful questions about the future of libraries and librarianship. You can do it, and I will be thrilled to see the amazing things you’re able to accomplish. talked to my staff about what they wanted to see. After gathering all that information, I reworked our hiring process. The first change was to create an employment application. The form we use is a pretty basic one, but it gives us a lot up front. We ask for things like availability, of course, since we have certain priorities for front desk coverage. We also ask obvious questions like, "Why do you want to work for the library?" There aren't any wrong answers to that, but when we see something like "because the library seems like a nice quiet environment," it gives us the opportunity to explain how the library isn't (nor should it be) always quiet. How would you handle an angry patron/customer? When you use libraries, how do you use them? How do you handle work/volunteer projects you’re given? Tell me about a previous job, either volunteer or for pay — what did you love and what didn’t you like? How do you respond when you don’t know the answer to a question? 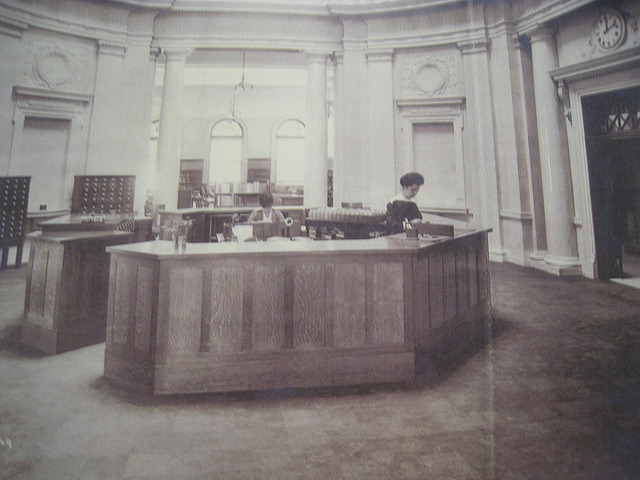 How would you handle it if the phone rang right as a line formed at the circulation desk? If it's not already obvious, let me point out to you the distinct focus on patron service. These students who work for me are frequently the first person that a patron sees when they walk in the front door of the library. We want friendly and outgoing and service oriented individuals who will work hard. 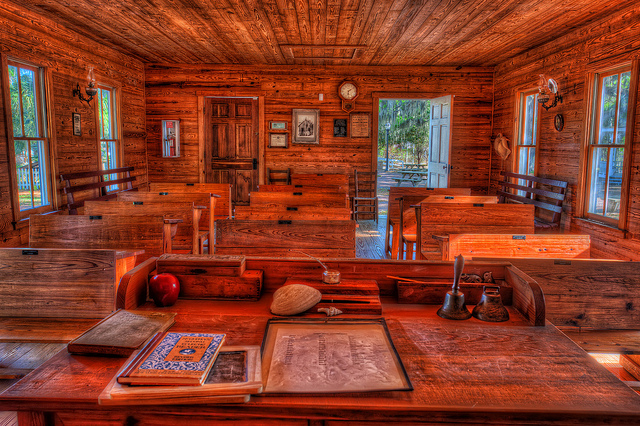 We ask about learning because we are counting on having to teach them the day-to-day stuff. Heck, for some of our student workers, this is the first job they've ever had. We can teach them how to check out books and pull holds; we can't teach them how to be friendly and outgoing. The results of the new process are easy to see. The students who work for the library are great members of our team who are eager to learn and to assist our patrons. Of course, part of this is also tied to the training they receive, but that's a whole other blog post. Regardless, we're all very happy with our group. How about you? How do you hire student workers? Or, if you're at a public library, how do you hire pages? I've heard plenty of people cast aspersions on creative writing degrees. "What are you going to do with that? Almost nobody makes money with a creative writing degree!" However, the lead singer of The Decemberists, Colin Meloy, turned a creative writing degree into a mountain of highly literate and literary songs with the help of his bandmates. How could I not devote a "just for fun" post to this band? For instance, look at the title of this post: "a panoply of song" come from the song "June Hymn," off the band's most recent album - The King is Dead. (In case you're curious, "panoply" means "a group or collection that is impressive because it is so big or because it includes so many different kinds of people or things," according to Merriam-Webster. Yes, I did have to look it up.) I mean, come on! Who uses words like that in a rock-n-roll song? The Decemberists, that's who. By the way, "The Crane Wife" is based on a fairly famous Japanese fairy tale. Don't you just dig the cinematic awesomeness? Gorgeous stuff. Rhyming "legionnaire" with "disrepair"? Seriously? How cool is that? So how about you? Are you a fanboy or fangirl? If not, what do you think? You going to give this amazing band a chance?